The Russians and Chinese are well aware of US attempts to vilify Iran. Keiser Report – Markets! Finance! Movies! We look at the latest scandals of the enemies of box-office futures, the octogenarian issuing threats and Goldman: the Movie, starring Divine? Or Tony Blair? In the second half of the show, Max talks to fund manager Michael Krieger about the dangers of a failed presidency. BPA, a plastic hardener linked to breast cancer, heart disease, diabetes and other health problems, reacts with dye to form black print on receipts handled by millions of Americans every day. "A typical employee at any large retailer who runs the register could handle hundreds of the contaminated receipts in a single day at work," said Jane Houlihan, the group's senior vice president for research. You will find that a great deal of present day illnesses are caused by environmental contamination. The effects of a slow poisoning are very subtle and hard to detect. For more on the effects of Bisphenol-A (BPA), see here. "The History the Government Doesn't want YOU to Know"
We ARE living in a world sabotaged by corrupt corporate, military and intelligence interests. The premier news site WhatReallyHappened.com exposes this corruption and educates the reader. It's a vital source of information for anyone concerned about what is happening out there. Don't miss out on ESSENTIAL news analysis. Mike Rivero, the guy in charge, is a wealth of information. Educate yourselves. Ditch the mainstream media lies and learn what is really going on ! The daily newspaper Hankyoreh reported yesterday that Russia has concluded the sinking of the South Korean warship Cheonan was a sea mine accident, not a torpedo attack by North Korea. If the report is true, Russia will be the first nation to try to absolve North Korea for the incident, which is considered the most deadly attack on the South's military since the Korean War. The Defense Ministry denied the newspapers report. The truth of this matter is vitally important. We do not want to see an unnecessary War ravage the Korean Peninsula, a war that will kill millions. Some good analysis by Jones here. Who Voted for War With Iran, Mr. Obama? House of Representatives resolution 1553, introduced by Congressional Republicans, and currently working its way through the system will endorse an Israeli attack on Iran, which would be going to war by proxy as the US would almost immediately be drawn into the conflict when Tehran retaliates. The resolution provides explicit US backing for Israel to bomb Iran, stating that Congress supports Israel’s use of “all means necessary…including the use of military force”. The resolution is non-binding, but it is dazzling in its disregard for the possible negative consequences that would ensue for the hundreds of thousands of US military and diplomatic personnel currently serving in the Near East region. Even the Pentagon opposes any Israeli action against Iran, knowing that it would mean instant retaliation against US forces in Iraq and also in Afghanistan. The resolution has appeared, not coincidentally, at the same time as major articles by leading neoconservatives Reuel Marc Gerecht and Bill Kristol calling for military action. AIPAC thinks it is wonderful. The centerpiece of the case against North Korea is without doubt the torpedo fragments retrieved by trawlers. At the JIG press conference announcing the results of its investigation, a diagram said to be that of the CHT-02D was displayed. It was not until over one month later, after critics had pointed to discrepancies between the diagram and the torpedo fragments, that the JIG admitted that it had shown a diagram of the wrong torpedo, the PT-97W. This was said to have been caused by a "mix-up by a staff member while preparing for the presentation." (11) That such a mistake could be made is indicative of a careless attitude concerning evidence. It should also be mentioned that the information South Korea had on the CHT-02D was obtained from an export catalogue, as the weapon is among those that North Korea sells abroad. In other words, the torpedo apparently has buyers, and therefore the source of manufacture does not automatically correspond to ownership. So, was the torpedo a Chinese-made YU-3G or a North Korean-made CHT-02D? Or perhaps something else altogether? It is a CHT-02D, the JIG now asserts, without addressing the discrepancy in its claims. That argument comes despite the President saying that one of the cornerstones of the sweeping new legislation was more transparent financial markets. Indeed, in touting the new law, Obama specifically said it would “increase transparency in financial dealings." I'd like to see what happens if the Congress makes a request for information. Will they get denied as the Fed did to them ? Presently the US Federal Reserve is exempt from audit. The Story of Cosmetics, released on July 21st, 2010, examines the pervasive use of toxic chemicals in our everyday personal care products, from lipstick to baby shampoo. Rethink what you are using on yourselves. Many cosmetics contain toxins such as mercury and lead ... not good. EPA Covering Up Effects of Dispersant in BP Oil Spill? - Democracy NOW! Keiser Report – Markets! Finance! Silver! We look at the latest scandals of fetishes for black swans; American youth unconcerned by the coming collapse of their Social Security they bought and paid for; Tony Blair’s 2007 photo op with Colonel Gaddafi and the farting camels of Tripoli. In the second half of the show, Max talks to Ned Naylor-Leyland of Cheviot Asset Management about the silver market [manipulations]. Playing by the rules, I had submitted my written testimony to Chilcot before my appearance. In the hours before my appearance, invited to visit the Foreign Office to see further documents (mostly irrelevant), an official repeatedly sought to persuade me to delete references to certain documents in my testimony. He told me that the Cabinet Office wanted the removal of a critical reference in my evidence to a memo from a senior Foreign Office official to the foreign secretary's special adviser, in which the official pointed out, with mandarin understatement, that the paper sent that week to the Parliamentary Labour Party dramatically – and inaccurately – altered the UK's assessment of Iraq's nuclear threat. In a clear example of the exaggeration of Iraq's military capabilities, that paper claimed that if Iraq's programmes remained unchecked, it could develop a nuclear device within five years. The official's memo pointed out that this was not, in fact, the UK assessment: the UK believed that Iraq's nuclear programme had been checked by sanctions. Launching an unnecessary war of aggression is a War Crime. US President Barack Obama signed a bill that is the most comprehensive financial law to be enacted since the Great Depression. The law, which got final approval from the Senate last week, targets the kind of Wall Street risk-taking that helped trigger a global financial meltdown in 2007-2009. Gerald Celente says that this is only going to harm and will not do enough to change Wall Street. “The figures suggest our galaxy, the Milky Way [which has more than 100 billion stars] will contain 100 million habitable planets, and soon we will be identifying the first of them,” said Dimitar Sasselov, professor of astronomy at Harvard University and a scientist on the Kepler Mission. "There is a lot more work we need to do with this, but the statistical result is loud and clear, and it is that planets like our own Earth are out there." Note also that scientists have recently determined that there is a lot more water on the Moon than previously thought. All these discoveries-- more Earth like planets, the presence of water in unexpected locations-- adds to the chances of life (as we know it) existing in other parts of the universe. A report has been published indicating cancers and other diseases in the Iraqi city of Fallujah are significantly higher than those of the survivors of the Hiroshima and Nagasaki atomic bombs of 1945. The survey found that in the five years following the 2004 attacks by USA-led forces there has been a four-fold increase in all cancer. The types of cancer are similar to that in the Hiroshima and Nagasaki survivors who were exposed to nuclear fallout. Researchers found a 12 fold increase in child hood cancers since 2004. "Far fewer boys were born than girls and this is a well known expression of genetic which was found after Hiroshima." Said report writer Dr Chris Busby. Check out the video. There are two ways we can run the world- we can compete against each other- suppressing or killing one another or we can show some compassion and work cooperatively to figure out solutions without causing undue hardship. I like the "team" concept myself with a bit of healthy competition mixed in. There is no need to tread on folks who are down on their luck. On the Edge from Friday, July 23rd with Alex Jones to talk about the surveillance state now being reported in Mainstream Media. Sydney 9/11 Event Creates Serious Mainstream Media Ripples ..
Australia's number one talk back Radio Station 2GB, has reported on the Prof. Niels Harritt Lecture on the 17th of July, 2010 at the Sydney Mechanics School of Arts during their late night show with Brian Wilshire. Sydney's most popular late night show's regular guest, Prof. Keith Suter, who attended the Harritt Lecture, has expressed his fascination with the issue of the World Trade Center 7 collapse on the afternoon of September 11, 2001. Prof. Suter, a highly regarded Australian media personality and internationally recognised academic and expert on foreign affairs, clearly expressed his satisfaction with the event and the evidence supporting an apparent "implosion" of WTC 7. "I commend the organisers. They kept emphasizing it was a scientific gathering, although it was open to the general public... they were treating it in a scientific way. They were looking simply at the scientific aspects of 'how' the building came down not 'why' or 'who'. There were questions from the floor, naturally, sort of saying who would be behind this and the scientists they had there...(Harritt, et. al)...they kept saying no, no, no it's our job to simply identify the process by which the buildings came down". Suter, while talking to popular host Brian Wilshire who is already on the record as having many doubts about the official "9/11 conspiracy theory", went on to mention that WTC 7's collapse was missing from the 9/11 Commission Report. This is the thing about the 911 false flag attack. The evidence proving it was an inside job is so strong (and obvious) that it is impossible to keep a lid on the matter. Any trained academic, who can get over his or her "anti-911 truth/mainstream" prejudices, will see that the Government version of events is false. These individuals then make good truth advocates in the battle to inform the unsuspecting public. The doubts about the Cheonan have embarrassed the United States, which will s begin joint military exercises Sunday in a show of unity against North Korean aggression. On Friday, an angry North Korea warned that "there will be a physical response" to the maneuvers. Two South Korean-born U.S. academics have joined the chorus of skepticism, holding a news conference this month in Tokyo to voice their suspicions about the "smoking gun:" a piece of torpedo propeller with a handwritten mark in blue ink reading "No. 1" in Korean. "You could put that mark on an iPhone and claim it was manufactured in North Korea," scoffed one of the academics, Seunghun Lee, a professor of physics at the University of Virginia. Lee called the discovery of the propeller fragment five days before the government's news conference suspicious. The salvaged part had more corrosion than would have been expected after just 50 days in the water, yet the blue writing was surprisingly clear, he said. "The government is lying when they said this was found underwater. I think this is something that was pulled out of a warehouse of old materials to show to the press," Lee said. South Korean politicians say they've been left in the dark about the investigation. "We asked for very basic information: interviews with surviving sailors, communication records, the reason the ship was out there," said Choi Moon-soon, an assemblyman with the Democratic Party. The legislature also has not been allowed to see the full report by the investigative committee, only a five-page synopsis. The official account of this incident is provably false. See this page for further analysis. Keiser Report – Markets! Finance! Hollow Men! We look at the latest scandals with stolen credits and the debt in Europe. In the second half of the show, Max talks to his guest Gregor MacDonald about the role of energy in US economy. The best finanical news show on the net. There exists some extremely disturbing scientific evidence which totally undermines the official 911 story. It does not matter what theories you believe in, the material here speaks for itself .. Put simply, it is IMPOSSIBLE to find Molten Steel, Thermite traces, plus actual fragments of High Tech Explosives in the rubble pile, and to have the freefall collapse of steel framed buildings, WITHOUT using incendiaries or explosives of the sort commonly employed by the military and demolition companies. There are only two options. Either the Laws of Physics were suspended on 911 or we have clear evidence of the controlled demolition of these buildings. Presently there are 5 peer reviewed scientific papers supporting this inside job hypothesis that remain unchallenged in the scientific literature. Note: At this time we don't know all the details of the crime. Indeed, it is irrational to demand answers to all the questions regarding the 911 murders at this point. However we have PROOF that the WTC structures were subject to thermitic attack, that fires did not cause their collapses, and that there is a criminal case to be investigated. The War on Terror must be stopped and a real criminal investigation into 911 initiated. Testimony during the second day of an investigative hearing in Louisiana revealed safety and maintenance discrepancies on the Deepwater Horizon going back years. Sepulvado was hit with a barrage of questions regarding an April 18 report prepared by Halliburton, the company contracted to cement the well casings into place and plug the well, which predicted the then-current BP well design could risk "severe" gas flow problems. The design was altered and Halliburton later reported a successful cement job. Two BP maintenance audits from February and March indicated a number of mechanical problems on the rig, including an engine that was out of operation, a thruster that was not running and the leak in the blowout preventer. The audits noted that the due date for inspection of the blowout preventer had passed, according to panel member Jason Mathews. Sepulvado testified he was unaware that the manufacturer required testing every five years. The device had not been inspected since 2000, federal investigators said. Sepulvado also testified that a well circulation test, known as a bottoms-up test, was not conducted. The procedure determines if there is gas in the drilling hole and helps ready the bore hole for cementing. His testimony reinforces similar statements from the rig manager during a previous hearing. In addition, Sepulvado said the well was losing mud, or drilling fluids, and a company was hired to test the integrity of the cement seals only to be ordered off the rig the morning of the explosion, without conducting the test. These beheviours appear to reflect a level of criminal negligence. The BP managers involved in the deaths of the 11 oil rig workers should not be allowed to quitely resign. A criminal trial is in order. An increasing clamour to restrict and control the internet on behalf of the government, the Pentagon, the intelligence community and their private corporate arms, could result in a staged cyber attack being used as justification. Over recent months we have seen a great increase in media coverage of inflated fears over a possible “electronic Pearl Harbor” event, with reports claiming that the U.S. could be “felled within 15 minutes”. Vastly over-hyped (and in some cases completely asinine) claims that the power grids and other key infrastructure such as rail networks and water sources are wired up to the public internet have permeated such coverage. The aim of censoring the Internet is to stop criticism of the Government and corporations. Presently the mainstream news is losing readership and relevance as their spin is exposed in the alternative media. Mainstream journalists are very very far from the mark when it comes to identifying and informing the population about the real dangers they face. If one simply reads the online comments attached to various mainstream news stories dealing with issues about the economy, 911, the war in Iraq, or climategate, we can see the official story being destroyed. The people in charge are obviously losing control and they want this control back. The propaganda is being exposed. Drastic measures will be needed if they are to win here. Expect the very worst. However, regardless of what happens, too many people are too well informed to put the knowledge Genie back in the bottle. They can't destroy all the truth DVDs in circulation or halt all email traffic. No war with Iran over non-existent WMDS thank you ! When the Climategate e-mails were released last year, the evidence of misconduct by the scientists involved was so strong that the climate establishment was forced to commission a series of tribunals. Yet the conclusions of those inquiries are as specious as the science they were supposed to investigate. By asking the wrong questions -- or not asking them at all -- they have failed to advance the climate debate one iota. In his review of the hockey stick itself, according to the Guardian newspaper, the panel's statistician David Hand said that the scientists had used inappropriate statistical methods. Hockey stick co-author Michael Mann of Penn State University dismissed this as a "rogue opinion." The final review, conducted by former bureaucrat Sir Muir Russell, was compromised from the start. Its chief scientist, while purporting to be independent, was a former staff member of the CRU. Once again, it failed to interview the chief critics. This panel did not examine the other e-mails on the CRU server, as it was supposed to do. It cleared the scientists of perverting the peer review process simply because their efforts did not succeed, thereby ignoring their clear intent as expressed in the e-mails. Further, the inquiry failed to ask the most basic questions of the CRU scientists, such as whether Professor Phil Jones had actually deleted inconvenient e-mails. Note that the Baroness mentions that UK intelligence did not consider Iraq a threat at the time. Indeed, evidence indicates that the US and UK Governments, aided by sections within the intelligence community, provided FALSE information so they could launch an unnecessary war on Iraq in 2003. They had no good evidence so they cooked the books. The War was an act of aggression and a Crime. Those involved in this decision process must face trial as War Criminals. Notice the Baroness is also reported as saying that subsequent the 911 attacks, US and UK foreign policy played into Bin Laden's plans for a war against the West fought in the Middle East and that this situation has radicalised many Muslims. Yes, the 911 attacks did fuel conflict between the West and Islam, a choice undertaken by Western leaders, however, 911 itself was not the work of Bin Laden, who denied involvement in the crime. There is damning forensic proof that shows 911 was an inside job. I suspect the good Baroness, knows more than she is saying and is unable to voice her opinion on this matter due to reasons of National Security. For an ex-MI5 Chief, a candid assessment can only go so far. This is a pity because the truth about 911 would end the War on Terror almost overnight. Moscow and Washington say they hope FBI arrests of alleged Russian agents will not affect relations between the two. The controversy comes just after a meeting between the U.S. and Russian Presidents. Former MI5 officer Annie Mashon says an inside game among U.S. intelligence agencies [to keep tensions high between the two countries] could be behind the timing of these arrests. It's interesting to note that Annie Mashon mentions other more serious spy rings that were covered up by the Bush Administration- the 911 "dancing Israeli's" and the Israeli "Art Students." See this Fox News story on You Tube. More than a hundred in total were deported and the incident swept under the rug. Political implications are considered in each spying incident. In some cases it is decided to engage in a cover-up whilst in other situations the incident is used for propaganda purposes. The recent Russian spies were engaged in relatively superficial spying- collecting mainstream information rather than espionage. Keiser Report – Markets! Finance! Gold! We look at the latest scandals of deficit fraud, Hank Paulson’s love of financial reform and the RIAA’s very low return bullying. In the second half of the show, Max talks to Ben Davies of Hinde Capital about the BIS gold swaps and more. There's a lot of good information in this documentary that is worth considering. Reposted in light of the recent attempts to censor The Obama Deception. Google is a key intelligence asset. It has supplied the core search technology for Intellipedia, a highly-secured online CIA system and has shared a close relationship with both the CIA, NSA, and government national security officials. 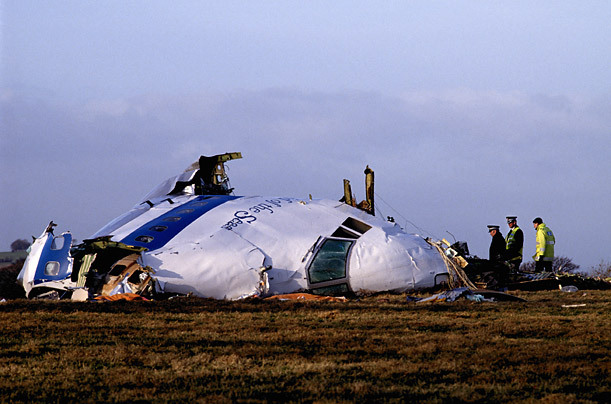 The hysteria over the release of the so-called Lockerbie bomber reveals much about the political and media class on both sides of the Atlantic, especially Britain. From Gordon Brown's "repulsion" to Barack Obama's "outrage", the theatre of lies and hypocrisy is dutifully attended by those who call themselves journalists. No one in authority has had the guts to state the truth about the bombing of Pan Am Flight 103 above the Scottish village of Lockerbie on 21 December 1988, in which 270 people were killed. The governments in England and Scotland in effect blackmailed Megrahi into dropping his appeal as a condition of his immediate release. Of course there were oil and arms deals under way with Libya; but had Megrahi proceeded with his appeal, some 600 pages of new and deliberately suppressed evidence would have set the seal on his innocence and given us more than a glimpse of how and why he was stitched up for the benefit of "strategic interests". “The endgame came down to damage limitation," said the former CIA officer Robert Baer, who took part in the original investigation, "because the evidence amassed by [Megrahi's] appeal is explosive and extremely damning to the system of justice." New witnesses would show that it was impossible for Megrahi to have bought clothes that were found in the wreckage of the Pan Am aircraft - he was convicted on the word of a Maltese shopowner who claimed to have sold him the clothes, then gave a false description of him in 19 separate statements and even failed to recognise him in the courtroom. The new evidence would have shown that a fragment of a circuit board and bomb timer, "discovered" in the Scottish countryside and said to have been in Megrahi's suitcase, was probably a plant. A forensic scientist found no trace of an explosion on it. The new evidence would demonstrate the impossibility of the bomb beginning its journey in Malta before it was "transferred" through two airports undetected to Flight 103. It is difficult to say who exactly carried out the bombing. Mr Megrahi appears completely innocent of the crime. Other suspected groups include those from Iran, Syria or even the CIA. The interview opens with a discussion about the recent Washington Post story admitting the huge extent of the US intelligence apparatus. Max and Alex talk about how the people are being pushed into a 1984-type future, a gulag-casino environment as Keiser describes it. UPDATE: In the second part here they discuss the censorship regarding The Obama Deception. As of this time, the censorship block appears to have been lifted. The video is now freely available to anyone who wishes to see it. The experiment appearing at the end of the video is very revealing. 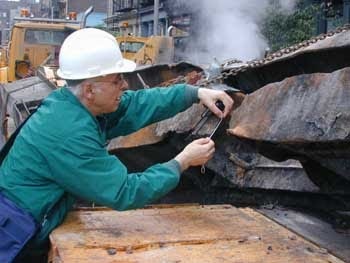 Despite the long burning, high temperature fire, the steel beam showed no obvious signs of corrosion. Note, among the other evidence cited at the end, the iron spheres that revealed the chemical signature of Thermate. The WTC forensic evidence clearly shows that 911 was an inside job. The War on Terror must be stopped and a criminal investigation launched into the perpetrators of this crime ! 1.) Think for yourselves- believe in scientific facts and common sense. 2.) Don't get brainwashed by trivial entertainment and miss out on what's really going on out there. The country has been taken way from you, and it's time to wake up and start thinking independently. The Jobless Effect: Is the Real Unemployment Rate 16.5%, 22%, or. . .? Mayur's polls continued to find much worse figures. The June poll turned up 27.8% of households with at least one member who's unemployed and looking for a job, while the latest poll conducted in the second week of July showed 28.6% in that situation. That translates to an unemployment rate of over 22%, says Mayur, who has started questioning the accuracy of the Labor Department's jobless numbers. It would appear that the wellhead cap has not stopped the oil. UPDATE: Official: Seep found near BP's blown out oil well. U.S. Rep. Earl Blumenauer is demanding that the Pentagon explain how war contractor Kellogg, Brown and Root may have been granted immunity from harming any soldier or civilian in Iraq. In a sharply worded letter Wednesday, Blumenauer gave the secretary of defense five days to produce details of KBR's claims of indemnification. The details of a secret agreement have emerged in a U.S. District Court case in Portland and were reported Tuesday in The Oregonian. Blumenauer said he plans to take his concerns to colleagues on the House Armed Services Committee. Obama-Dodd-Frank FinReg Monstrosity Delays Derivatives Curbs until 2022 ! The Obama-Dodd-Frank financial regulation bill, a miserable excuse for real Wall Street reform, is now about to gain final approval in the Senate. This wretched bill is now supported by the New England liberal (meaning Wall Street) Republican clique including Olympia Snow, Susan Collins, and Scott Brown, who are joined by the notoriously corrupt reactionary Democrat, Ben Nelson of Nebraska. This bill will create a multitude of new regulations and a number of large new bureaucracies, but it is utterly devoid of any bright-line prohibitions against the causes of the financial panic which struck the United States in 2008, and which continues to the present day in the form of a world economic depression. The cause of the 2008 banking panic was that zombie banks and hedge fund hyenas were speculating with toxic and highly leveraged derivatives. The new bill does virtually nothing to attack the causes of this ongoing financial disintegration. It is a total defeat for the interests of the American people, and an historic victory for the Wall Street financier oligarchy which owns both the Democratic and Republican parties. I was listening to BBC radio the other day and they were subtly spinning the idea, that although watered down, these reforms would help. They also had, as a guest, a guy involved in setting up big time derivatives trading. He explained that there was nothing wrong (or dangerous) about these financial instruments and that the recent crisis was all down to the fact that people were given mortgages they could not pay. At times this person wasn't even making any sense with some of his analogies. Example: [paraphrasing] you don't ban mortgages because people default, therefore you shouldn't be banning the derivatives trade. Yes, but people don't commonly leverage their mortgages to astronomical levels and then sell them to other investors who would then be at significant risk if there was a problem with the repayments. Other comments by this fella were equally repulsive. Unfortunately the name of this guy escapes me. Rather than providing critical analysis the BBC program appeared to be covering for the inadequacies of the Reform bill with softball questions to a highly questionable choice of guest. One could easily come to the conclusion that the BBC should not be trusted as a source of finanical news. I prefer the Keiser Report. Fake video for an unnecessary war of aggression. Beware the propaganda and make some noise about it. You CAN help to stop the next war. This is part of a documentary called Occupation 101 made in 2006 which presents a comprehensive analysis of the facts and hidden truths surrounding the Israeli-Palestinian conflict and dispels many of its long-perceived myths and misconceptions. The film also details life under Israeli military rule, the role of the United States in the conflict, and the major obstacles that stand in the way of a lasting and viable peace. This is good. Please check it out. We can't have peace when there is such injustice. MSNBC July 15: Matt Simmons still says BP Covering Up MASSIVE HOLE miles away, Cap Test is "Absurd"
there is no way this cap is stopping the flow of oil. It may not be coming out where the cameras are, which is great for BP and Obama, but if the drilling mud was leaking out to the side, then so too is the oil. A subsurface blowout is forming 1000 feet down under the floor of the Gulf of Mexico. Sooner or later the accumulating oil bubble will blow through the ocean floor in a massive spill event. Maybe Obama is hoping it won't happen until November 5th. It looks as if the crisis is not over. The results indicate that multiple vaccine exposures during the previous 3-4 months may have had a significant impact on brain growth and development in ways that are consistent with the published data on autism. For the amygdala, the novel findings of abnormal growth and function appear to be a function of more recent vaccine exposures - the 12-month primary MMR vaccine and the DTaP and Hib boosters. In the same primate model, the research team has already identified delayed acquisition of vital brainstem reflexes in infants exposed to the thimerosal-containing hepatitis B vaccine on the first day of life, compared with unvaccinated animals. A larger, second phase study is currently underway to see if these findings can be replicated. Replicating these results is a very important next step. We certainly have good reason to be concerned from these and other findings. In an earlier study conducted on cells in a laboratory it has been shown that "the mercurial compound used as vaccine preservative called ‘thimerosal’ induces neural damage"
Derivatives are basically just bets. Like at a racetrack, you don't need to own the thing you're betting on in order to play. Derivative casinos have opened up on virtually anything that can go up or down or have a variable future outcome. You can bet on the price of tea in China, the success or failure of a movie, whether a country will default on its debt, or whether a particular piece of legislation will pass. The global market in derivative trades is now well over a quadrillion dollars - that's a thousand trillion - and it is eating up resources that were at one time invested in productive enterprises. Why risk lending money to a corporation or buying its stock, when you can reap a better return betting on whether the stock will rise or fall? The shift from investing to gambling means that not only are investors making very little of their money available to companies to produce goods and services, but the parties on one side of every speculative trade now have an interest in seeing the object of the bet fail, whether a company, a movie, a politician or a country. Worse, high-speed program traders can actually manipulate the market so that the thing bet on is more likely to fail. Not only has the market become a casino, but the casino is rigged. High frequency traders - a field led by Goldman Sachs - use computer algorithms to automatically bet huge sums of money on minor shifts in price. These bets send signals to the market that can themselves cause the price of assets to shoot up or tumble down. By placing high-volume trades, the largest speculative traders can, thus, intentionally "fix" prices in any direction they want. [According to the 911 truth debunkers] Making comparisons between the three World Trade Center towers and other high rise buildings that burned much hotter for much longer and didn't collapse is ludicrous because of their different constructions. But comparing the towers to a low-rise 13 story building in Holland or a toy factory is perfectly acceptable. Even ignoring all the forensic evidence, that proves explosive thermite was used on the Twin Towers and Building 7, it's obvious from the historical record that there are SERIOUS problems with the collapses of the 3 World Trade Centre Buildings on 911. The official explanation, that fires caused the collapses, doesn't make any sense. Moreover, the "reasoning" put out by the debunkers, to account for the building implosions, is obviously nonsensical. The very fact that WTC7 collapsed at all- a building that was designed to be resistant to hurricanes, earthquakes and fires- was the key evidence that rang alarm bells for myself and led to a second look at the official story. Keiser Report – Markets! Finance! Stefan Molyneux! 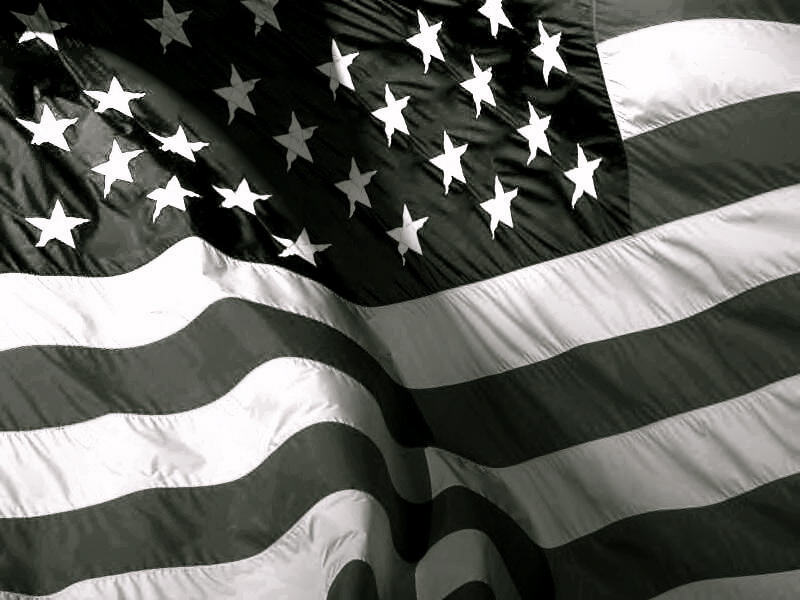 This week Max Keiser and co-host, Stacy Herbert, look at the latest scandals of downgrading America, investors seeking security in gold, bank profit abominations and federal ponzis. In the second half of the show, Max talks to Stefan Molyneux of Freedomain Radio about the Canadian economy and housing bubble, the oil spill in the Gulf of Mexico and how to fix the world. This purportedly independent review comes on the heels of two others—one by the University of East Anglia itself and the other by Penn State University, both completed in the spring, concerning its own employee, Prof. Michael Mann. Mr. Mann was one of the Climategate principals who proposed a plan, which was clearly laid out in emails whose veracity Mr. Mann has not challenged, to destroy a scientific journal that dared to publish three papers with which he and his East Anglia friends disagreed. These two reviews also saw no evil. For example, Penn State "determined that Dr. Michael E. Mann did not engage in, nor did he participate in, directly or indirectly, any actions that seriously deviated from accepted practices within the academic community." It's impossible to find anything wrong if you really aren't looking. In a famous email of May 29, 2008, Phil Jones, director of East Anglia's CRU, wrote to Mr. Mann, under the subject line "IPCC & FOI," "Can you delete any emails you may have had with Keith [Briffa] re AR4 [the Intergovernmental Panel on Climate Change (IPCC) report]? Keith will do likewise . . . can you also email Gene [Wahl, an employee of the U.S. Department of Commerce] to do the same . . . We will be getting Caspar [Amman, of the U.S. National Center for Atmospheric Research] to do likewise." Mr. Jones emailed later that he had "deleted loads of emails" so that anyone who might bring a Freedom of Information Act request would get very little. According to New Scientist writer Fred Pearce, "Russell and his team never asked Jones or his colleagues whether they had actually done this." The Russell report states that "On the allegation of withholding temperature data, we find that the CRU was not in a position to withhold access to such data." Really? Here's what CRU director Jones wrote to Australian scientist Warrick Hughes in February 2005: "We have 25 years or so invested in the work. Why should I make the data available to you, when your aim is to try and find something wrong with it[?]" China's leading credit rating agency has stripped America, Britain, Germany and France of their AAA ratings, accusing Anglo-Saxon competitors of ideological bias in favour of the West. Dagong Global Credit Rating Co used its first foray into sovereign debt to paint a revolutionary picture of creditworthiness around the world, giving much greater weight to "wealth creating capacity" and foreign reserves than Fitch, Standard & Poor's, or Moody's. Chinese president Hu Jintao said in April that the world needs "an objective, fair, and reasonable standard" for rating sovereign debt. Dagong appears to have stepped into the role, saying its objective was to assess countries using methods that would "not be affected by ideology". "The reason for the global financial crisis and debt crisis in Europe is that the current international credit rating system does not correctly reveal the debtor's repayment ability," said Guan Jianzhong, Dagong's chairman. Who Killed the Glass-Steagall Act? The Glass-Steagall Act President Roosevelt signed into law was repealed. See who swept aside the banking firewall protections on the 12th of November 1999. The Gramm-Leach-Bliley Act (GLBA), also known as the Financial Services Modernization Act of 1999, is an act of the 106th United States Congress (1999-2001), signed into law by President Clinton which repealed part of the Glass-Steagall Act of 1933, opening up the market among banking companies, securities companies and insurance companies. The Glass-Steagall Act prohibited any one institution from acting as any combination of an investment bank, a commercial bank, and/or an insurance company. The US Congress is bought out. This video is essential viewing. Professor Harrit is the lead author of an expert international team that produced a peer reviewed scientific paper published early last year, titled “Active Thermitic Material Discovered in Dust from the 9/11 World Trade Center Catastrophe”. This paper, which has not been reported in this country to date, has remained unchallenged within the scientific literature and can be found online at the Open Chemical Physics Journal, Bentham Open. The evening lecture will be given in two parts, the first being about the little known 47 story WTC building 7, titled “The Seventh Tower: A Mysterious Building Collapse”. The second part, concentrating on the discovery of nano-thermite, is titled “Scientists Discover Explosive Incendiary Nano-thermite in Dust from Ground Zero”. Harrit will be supported by a expert panel during his presentations, including Australians Dr. David Leifer, a senior Architecture lecturer at Sydney University and Dr Frank Legge, a chemist and 9/11 science expert who is co-editor at “the Journal of 9/11 Studies” and was also an author of the “Thermitic Materials” Paper. 7:00pm, Saturday, 17th July 2010. Only the truth about 911 will end the War on Terror. DISGRACEFUL CORRUPTION !!! There are NO limitations on the banks. The financial regulation bill discussed here is simply pure propaganda. We're still facing a lot of trouble thanks to the banksters. The debt-loss cycle is impoverishing us all. There are solutions, but none of the ones suggested by Tarpley are likely to be enacted unless some level of protest is leveled at the Congress. This clip highlights exactly who the US Congress is working for. Essential viewing. Britain was taken to war in Iraq on the basis of “lies”, scaremongering and deliberate exaggeration, a former UK diplomat told the Iraq inquiry. 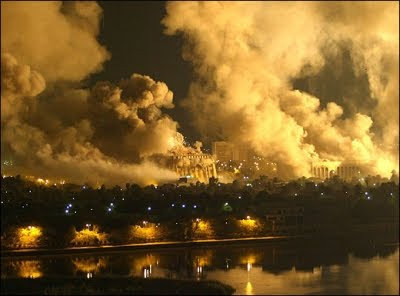 Carne Ross claimed that Britain and the United States privately did not believe that Iraq's weapons programmes posed a “substantial threat” before launching the 2003 invasion. Mr Ross, the former first secretary at the UK’s mission to the United Nations, told the Chilcot inquiry there was no “significant intelligence” to support claims that Saddam Hussein had amassed an arsenal of deadly weapons. He argued that Saddam could have been contained through sanctions – and condemned the failure by the US or UK to close the Iraqi dictator’s bank accounts in Jordan. Mr Ross, who resigned before the war, pointed to a document circulated to Labour MPs in 2002 as evidence of a “process of deliberate public exaggeration”, including the claim that Saddam could develop nuclear weapons within five years. War Crimes trials are long overdue here. The people wearing suits that initiated the war are responsible for the deaths of many hundreds of thousands of innocent people. They must be held to account. The Bush administration was pushing the IAEA to use the documents to accuse Iran of having had a covert nuclear weapons programme. The administration was determined to ensure that the IAEA Governing Board would support referring Iran to the U.N. Security Council for action on sanctions, as part of a larger strategy to force Iran to abandon its uranium enrichment programme. Long-time IAEA Director-General Mohammed ElBaradei and other officials involved in investigating and reporting on Iran’s nuclear programme were immediately sceptical about the authenticity of the documents. According to two Israeli authors, Yossi Melman and Meir Javadanfar, several IAEA officials told them in interviews in 2005 and 2006 that senior officials of the agency believed the documents had been “fabricated by a Western intelligence organisation”. Heinonen, on the other hand, supported the strategy of exploiting the collection of intelligence documents to put Iran on the defensive. His approach was not to claim that the documents’ authenticity had been proven but to shift the burden of proof to Iran, demanding that it provide concrete evidence that it had not carried out the activities portrayed in the documents. From the beginning, Iran’s permanent representative to the IAEA, Ali Asghar Soltanieh, denounced the documents as fabrications. In Governing Board meetings and interviews, Soltanieh pointed to several indicators, including the absence of official stamps showing receipt of the document by a government office and the absence of any security markings. The tensions between Heinonen and the senior officials over the intelligence documents intensified in early 2008, when Iran provided detailed documentation to the agency disproving a key premise of the intelligence documents. Kimia Maadan, a private Iranian company, was shown in the intelligence documents as having designed a uranium conversion facility as part of the alleged military nuclear weapons research programme. Iran proved to the satisfaction of those investigating the issue, however, that Kimia Maadan had been created by Iran’s civilian atomic energy agency solely to carry out a uranium ore processing project and had gone out of business before it fulfilled the contract. Senior IAEA officials then demanded that Heinonen distance the organisation from the documents by inserting a disclaimer in future agency reports on Iran that it could not vouch for the authenticity of the documents. Instead Heinonen gave a “technical briefing” for IAEA member countries in February 2008 featuring a diagram on which the ore processing project and the uranium processing project were both carried out by the firm and shared the same military numbering system. Despite Hienonen's departure [see full article] the push for war with Iran continues. ElBaradei is also out of the IAEA. Expect more attempts at bluffing the world with false intelligence on Iran. Say no to more war !